When The Daily Beast reached the White House for comment, spokeswoman Sarah Huckabee Sanders simply told the media outlet that the briefing "was moved", without providing any further details. 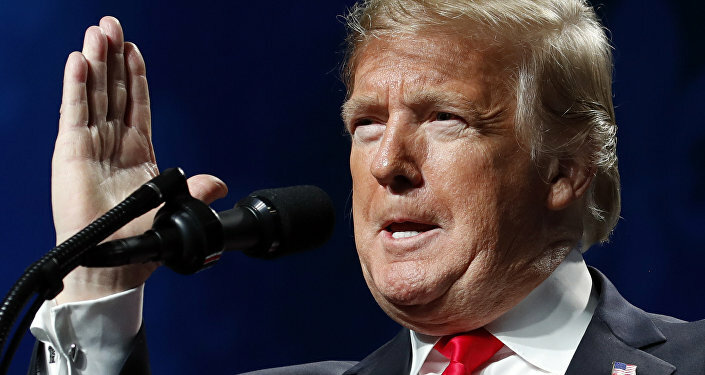 Just a day after he lambasted the intelligence community, Trump's tone had changed: he made an abrupt u-turn, having tweeted that the testimony had been "distorted" by the media and claimed that "we are all on the same page". President Trump unilaterally pulled out of the 2015 nuclear deal with Iran last May, saying that Tehran failed to comply with the agreement, and announced the reintroduction of sanctions against the country. The move was strongly condemned by other signatories to the deal — Russia, China, the UK, France, Germany, and Iran itself — which insisted on the need to preserve it. Back in December 2018, Trump also suddenly announced that the US would be withdrawing its troops from Syria, having declared victory over Daesh. The decision prompted a wave of resignations in the White House, including Defence Secretary Jim Mattis, who apparently didn't share the commander-in-chief's assessment. The views of the US intelligence community appeared to be incompatible with other claims by Trump, including that North Korea remains a threat. POTUS and his team have been working on improving relations with Pyongyang for almost a year now, with Trump holding a historic summit with Kim Jong-un in Singapore in June, where the North Korean leader pledged to denuke.